Head lice are tiny wingless parasitic insects that feed on human blood and live on the scalp. An adult louse is about the size of a sesame seed. Head lice require regular feedings and will typically die within 24-48 hours away from a human host. Head lice have 3 stages of development: Nit, Nymph and Adult Louse. The female louse can lay about 7-10 eggs (nits) per day and lives up to 30 days on the human head. Nits are the eggs of the louse and are generally easier to find on the head than live head lice, depending on the infestation level. Nits are very tiny, about the size of a strawberry seed. They are oval shaped and can be off-white, gray or brown. Nits are laid close to the scalp, but can appear anywhere on the hair shaft. Once a nit is laid, it takes from 7-10 days for the nymph (baby louse) to hatch. Once a louse is born, it is called a nymph until it reaches maturity about 9-12 days later at which time it can start to reproduce. 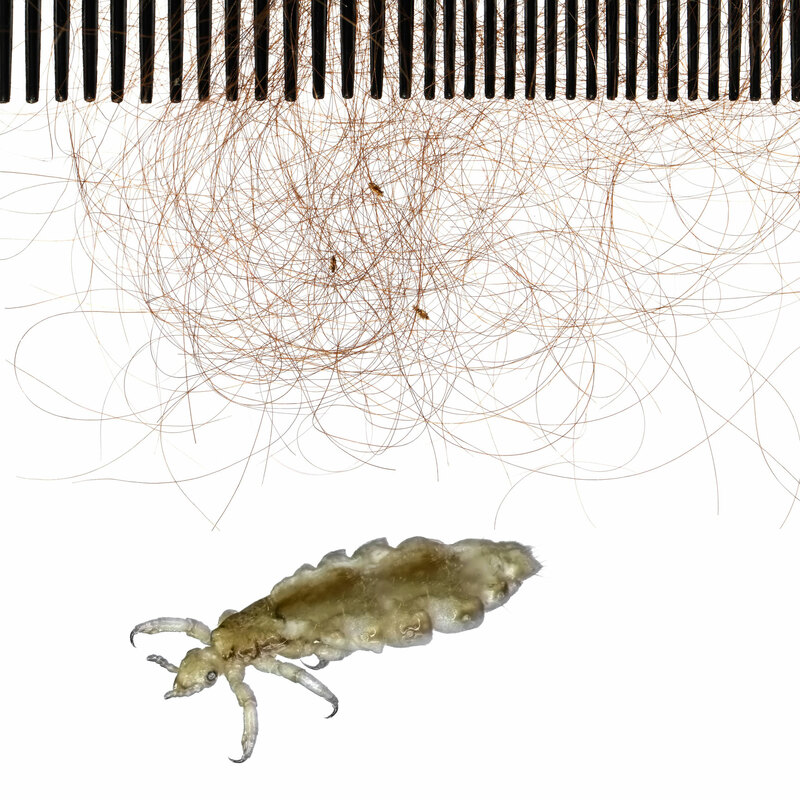 Head lice are typically transferred from head to head contact with an infested person. Although a less common form of transfer, lice can also transfer when personal items like hats, brushes and scarves are shared with an infested person. Animals, like dogs and cats do not carry head lice. The main symptom of head lice is an itchy scalp, however, there are many people who have head lice who do not notice any abnormal itching. The itching is caused by an allergic reaction to the lice saliva and inflammation caused by the lice sucking blood from the scalp. Typically, a person with lice will not start itching until 4-6 weeks after an infestation begins. In more severe cases there may be redness at the nape of the neck from bites. According the Centers for Disease Control, there are approximately 6-12 million cases of head lice per year in children ages 3-11 in the United States resulting in 12-24 million missed days of work and school. The key to successfully treating head lice is to kill or remove ALL live lice and nit eggs and to take measures to prevent re-infestation. How to I clean my home so as to decrease the chance of re-infestation? Head lice that have fallen off their human host typically do not survive longer than 24-48 hours, so herculean cleaning efforts are not necessary. However, it's a good policy to vacuum the house thoroughly and launder sheets, towels and hats used by the infected person in hot water (130 degrees F), then dry on high heat for 30 minutes. Anything that regularly comes into contact with the child's head can be set aside for 3-4 days or dryed on high heat in the dryer for 30 minutes. Gather combs and brushes and remove any hair, then wash in warm soapy water. Brushes that are sensitive to water can be placed in the freezer for 24 hours. "Pesticides: 5 Ways to Reduce Children's Exposure," U.S. News and World Report— "... do you really want a neurotoxin on your child's scalp? 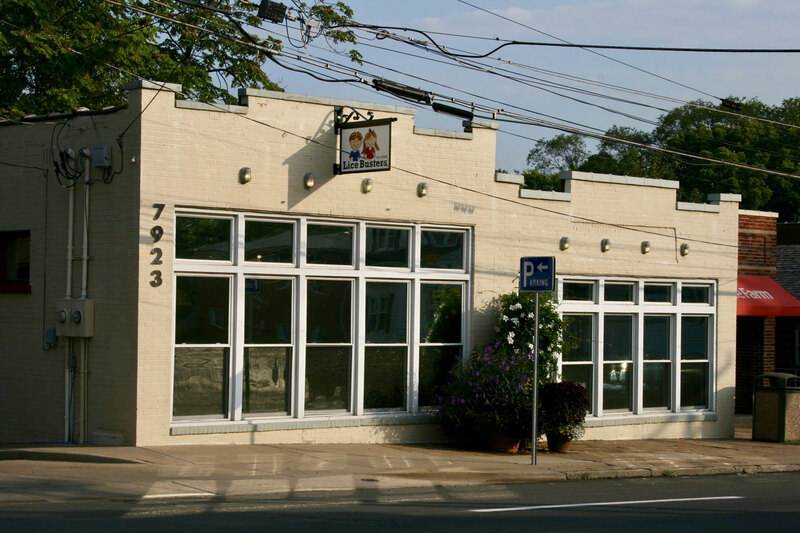 Non-toxic alternatives include combing and nit-picking." "Tired of Nit-Picking? Lice Are Peskier Than Ever," Wall Street Journal — "Head lice, a scourge of schoolchildren and their parents, may be even harder to get rid of than previously thought, according to new guidelines from the American Academy of Pediatrics." "Does Head Lice Mean No School?," Wall Street Journal — "The [American Academy of Pediatrics] report said that some of the common treatments for killing head lice, including prescription medications and over-the-counter products, may no longer be effective because the pests in some areas have built up a resistance to them." "One Louse, Ick. Two Lice, Call for Help!," New York Times — Story about a Los Angeles lice removal service.